We think the phrase ‘wow factor’ is horribly overused, but sometimes it really does describe what you’re looking for. And gala dinners and product launches are often the events that really demand this touch of pizzazz, that wide-eyed look of wonder from your guests. These are the events that often require that little bit extra, that thing that makes the event stand out. 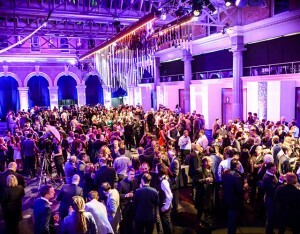 It could be simply that you’ve got a huge number of people who need to be wined and dined in style, or an extraordinary new product launch or business that you want everyone to buzz about afterwards. But whatever it is, your choice of venue is the place to start making that impact. Whether you’re looking for something in the UK or overseas, a large conference venue or an exclusive private island, we bet we know the best place for you. And yes, it’s still a free venue finding service. We offer full scale event management for all events too, meaning you can hit us up as a total one-stop shop.